Why Do People Use Prickly Pear Cactus? The oral preparations of Opuntia ficus-indica (Prickly pear cactus), like prickly pear cactus powder, is orally used for hypercholesterolemia, as an antiviral agent, diabetes, alcohol-induced hangover (veisalgia) and for obesity. It is also consumed orally for diarrhea, colitis and for benign prostatic hyperplasia (BPH). In Foods Items - The Prickly pear cactus juice is used commercially in candies and jellies. Likely Safe - Oral consumption of Prickly pear cactus powder in food items is considered safe. Avoid In Lactation & Pregnancy - Prickly pear cactus should be avoided by pregnant and breast feeding females. How Effective Is Prickly Pear Cactus? How Prickly Pear Cactus Works? The most effective parts of Opuntia ficus-indica are the fruits, leaves, stems and flowers. Prickly pear cactus is frequently used as a normal diet. Oral consumption of 500 grams of Prickly pear cactus provides 8.25 grams protein, 14.3 grams carbohydrate, 18.85 grams cellulose (stringy polysaccharide), 1.05 grams lipids, 99.75 kilocalories and 455.75 grams water. Different types of Prickly pear cactus decrease lipid levels and blood glucose. This impact is frequently ascribed to the high stringy polysaccharide substance, including pectin. Fiber can decrease lipid absorption and slow carbohydrate absorption from the gut. But other researchers suspect Prickly pear cactus pear powder may also have an insulin increasing impact. In trial animal model, extract of Prickly pear cactus appears to enhance glucose usage at the cell level, mirroring the insulin activity. The extract seems to be effective at low amounts (1 mg/kg) for reducing the level of down hemoglobin A1C alone or in mixture with insulin. Cooked stems appear to be more beneficial for decreasing blood glucose levels as compared to raw stems. The purpose behind this distinction is not known. Prickly pear cactus is thought to lessen alcohol induced hangovers by lessening inflammation. Alcohol-induced headaches are related with a provocative reaction. Alcohols containing high quantity of contaminations known as congeners (scotch, whiskey, tequila) are related with increased severity of headache and increased inflammatory response. Individuals with an alcohol incited headache have higher levels of cortisol and inflammatory markers C-reactive protein (CRP). Individuals who take a particular extract of Prickly pear cactus extract appear to have lower cortisol and CRP levels, recommending that Prickly pear cactus may have anti-inflammatory reactions. What Are The Side Effects /Adverse Reactions of Prickly Pear Cactus? Prickly pear cactus powder maybe responsible for some side effects such as nausea issues, mild diarrhea, increased stool frequency, increased stool volume, headache issues and abdominal fullness. It also reduces blood glucose levels in those who are suffering from diabetes, but does not appears to cause hypoglycemia. How Prickly Pear Cactus Interacts With Other Herbs and Supplements? How Prickly Pear Cactus Interacts With Drugs? Chlorpropamide (Diabinese) - Interaction rating between Opuntia ficus-indica and chlorpropamide is moderate, so be careful about this mixture. There is one case where combination of Prickly pear cactus and chlorpropamide was found responsible for additive activity of insulin in type 2 diabetic patients. There is some concern that people taking both chlorpropamide or other hypoglycemic drugs and Prickly pear cactus may have increased hypoglycemia risk. 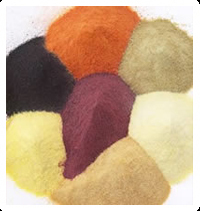 Glyburide (Diabeta, Micronase) - Interaction rating between Prickly pear cactus powder and glyburide is moderate, so be careful about this mixture. According to clinical experiments, mixture of glyburide and Prickly pear cactus can cause hypoglycemia in patients suffering from type 2 diabetes. So, such patients are advised be careful about their glucose levels. Metformin (Glucophage) - Interaction rating between Prickly pear cactus powder and metformin is moderate, so be careful about this mixture. According to clinical result, combination of metformin and Prickly pear cactus can result in hypoglycemia in patients suffering from type 2 diabetes. So monitor the blood glucose level very carefully. How Prickly Pear Cactus Interacts With Foods? How Prickly Pear Cactus Interacts With Lab Tests? Blood Glucose - Prickly pear cactus can interact by lessening the level of blood glucose and lab tests. Cholesterol - There is no confirmation that Prickly pear cactus may reduce low-density lipoprotein (LDL) cholesterol levels. How Prickly Pear Cactus Interacts With Diseases and Conditions? Diabetes - Prickly pear cactus can decrease blood glucose in type 2 diabetic patients. Prickly pear cactus may also have additive effects with diabetes medications and therefore cause hypoglycemia issues. So, those patients who are orally taking Prickly pear cactus should be careful about their glucose level. Surgery - Prickly pear cactus may interact with blood glucose levels. Prickly pear cactus may also interfere with blood glucose control after and during surgical activities. So, such patients are advised to stop using Prickly pear cactus at least two weeks before suggested surgical activities. What Should Be the Dose/Administration of Prickly Pear Cactus? ORAL • For Diabetic patients, 100-500 grams of broiled stems should be used every day. Doses are generally divided and provided thrice every day. • For benign prostatic hypertrophy (BPH), 500 mg of dried powdered flowers ingested thrice every day. • For alcohol-induced headaches issues, 1600 IU of a particular extract of Prickly pear cactus (Tex-OE, Extracts Plus, Inc.) should be orally used five hours before alcohol ingestion. Primarily Prickly pear cactus is used in Mexican-American and Mexican traditional diet and for type 2 diabetic patients.